Water and Wastewater blower processes encompass nearly half of all applications for blowers. Not only can GL-TURBO offer a blower to meet any specification, our energy efficient solutions will win any 20-year lifecycle analysis. Each process has different requirements and not one technology is always the best solution. 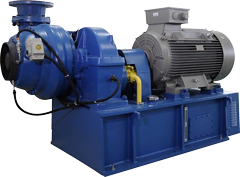 We can complement our blowers with a complete process control system to offer Single Source Responsibility that will meet your aeration demands.